Since dry equals comfortable, Storm Defender offers breathable waterproof protection, while FastDry technology wicks away sweat. Even the Ortholite insole offers breathable moisture-wicking protection. 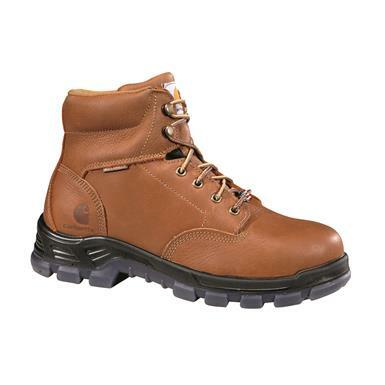 These help make a highly-active job or warm worksite more bearable! Order with pride! Get these Carhartt® Made in the USA Work Boots!